Many Women view a healthy lifestyle as something difficult to attain and something that requires a lot of effort and time. In Shape’s VIP Membership and weight loss programs (Back On Track, 12 week Body Transformation) are all designed to help you to lose weight achieve your goal. 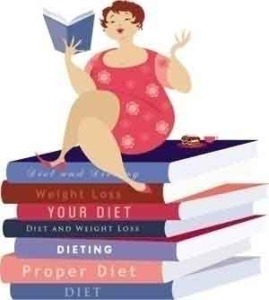 Dieting can help you lose weight (Fat, Muscles and Water) in the short term but is an unnatural and so unrealistic that it can never become a lifestyle that you can live with. While very few diets teach us low-fat shopping, cooking and dining out strategies, many offer unrealistic recommendations. Besides they don’t teach us how to deal with our cravings and our desires, or how to attend to our feelings of hunger and fullness, resulting, in quitting in our diets and gaining our weight back that we had lost, sometimes we gain even more weight. At “In Shape” our weight management and nutrition team along with our fitness instructors will work together to bring about a lifestyle change that not only insures that you to lose the weight but keep it off too!! Contact us now and start your Journey to a better lifestyle!!! The secret to losing weight in a healthy fashion is to exercise consistently over 3-6 months ( hopefully making it your lifestyle) & eating a healthy portion controlled diet. We can help you achieve both with our professional training programs & classes while making sure you have the correct nutritional plan to go hand in hand. Please give us a call on 043211027 / 0501888586 if you would like to book in for a FREE consultation!